The Guardian reports on the discovery of a bibliophilic treasure house. [A] huge volume containing thousands of summaries of books from 500 years ago, many of which no longer exist… has been found in Copenhagen, where it has lain untouched for more than 350 years. 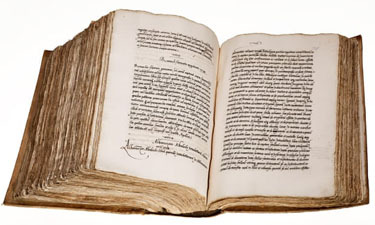 Wilson-Lee and Pérez Fernández are currently working on a comprehensive account of the library, which will be published in 2020.
the Archives of Never Yet Melted in the '“Libro de los Epitomes”' Category.